TCI (225) - Posted on 03rd July 2014 , when it was trading at 216 as "Support 210-200 and Strong Support 185--165 ULTIMATE UPSIDE TARGET 335--355"
After this post, on 21st Oct 2014 it came down to 187.90 and on 10th April 2015 it went up to 303.80,from there once again it came down to 199.20 on 09th June 2015 and once again it went up to 322 on 19th Aug. 2015 and again came down to 215 on 25th Aug. and now trading at 239. So mentioned upside target yet to attack (Rs.13 short fall) but repeatedly took support at mentioned support level. Recent broad congestion indicate beyond the target , target extended to 408--428. 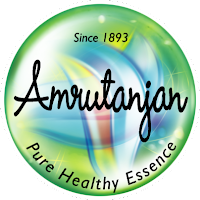 AMRUTANJAN (419) - Posted on 13th March as "Resistance 530--550"
After this post, on 08th April it went up to 565 but that day closed at 545, so resisted at the mentioned resistance level and from there , it came down to 393 on 03rd June , from there once again resisted at the mentioned level of 530-550 (made high 530.90 on 10th Aug.) and once again made low 391 on 21st Aug and now at 419. Note : If click the above posted stock logo, can get the posted stock details (including price data, fundamentals,financials and company profile ), Credit : msn money.